Government has shot down arguments that the legal procedure for the constitution of a Commission of Inquiry to investigate the Ayawaso West Wuogon by-election violence is flawed. The General Secretary of the opposition National Democratic Congress (NDC), Johnson Asiedu Nketia, had earlier argued that the processes for the formation of the commission ought to have gone to Parliament. 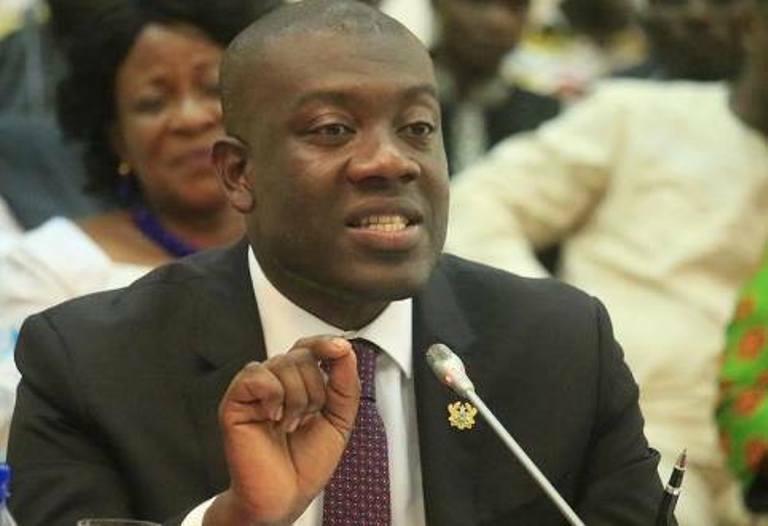 But speaking at the National Security Dialogue on Thursday, Information Minister, Kojo Oppong Nkrumah, said the government breached no law in setting up the Commission. “We can check from previous commissions of enquiry if they were laid before parliament for 21 days before it assumed legality. So the law doesn’t support that argument because the constitutional instrument was dated on the 6th of February 2019 and it was issued by the command of the Vice President and gazetted accordingly. So those raising this argument are not privy to this, he added. Government set up a four-member Commission of Inquiry, chaired by Justice Emile Short, a former Commissioner of the Commission on Human Rights and Administrative Justice (CHRAJ), to investigate and establish the facts leading to the events and associated violence in the Ayawaso West Wuogon by-election. Johnson Asiedu Nketia had said the Commission is only a ploy to protect perpetrators of the violence. A security analyst, Adam Bonaa also called for the sitting of the commission to be on live television. He said a live television broadcast of the sittings will ensure the credibility of the process and its final outcome. Mr. Bonaa who has insisted that persons who carried out the brutalities must be punished said it will be important for proceedings of the inquiry to be live on TV to deter persons who intend to ferment trouble during the 2020 polls to stand-down their plans. “Let us have an open house inquiry where the media will be invited so we view this on live TV so that we following sitting-by-sitting how this will go just so that that in 2020, we will all be assured that we have learnt lessons and those who do this will be punished and those who are planning to do same, will know that they will be shamed and punished,” he said.